Meng is the NYT bestselling author of Search Inside Inside Yourself, which is based on the groundbreaking mindfulness and emotional intelligence program he co-founded at Google. Meng was employee number 107 at Google and gradually transitioned from working on Google’s mobile search to being a leader. For several years, his role at Google was to apply his joyful disposition to welcome celebrities and be their tour guide when visiting Google and to help Googlers develop skills that allow them to be highly effective both personally and professionally. 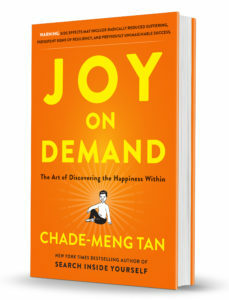 During this episode, Meng and I discuss his new book Joy on Demand, which was just released, as well as other elements of Mengs work that can help you have apply mindfulness to have an edge in life. You’ll learn how joy can help you realize previously unimaginable success, how to experience joy in just one breath, and why happiness is full of crap. You’ll also hear about Meng’s audacious life goal, a bit more about his journey at Google and SIY, and how he went from being a person who was miserable unless something highly pleasurable was happening to someone who is happy unless something terrible is happening. To connect with Meng, please visit – www.MengStupiditis.com. Are you enjoying this podcast? 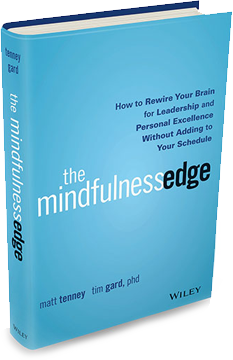 Would you like to help share the miracle of mindfulness? And, if you’re so moved, please share the podcast with anyone you like.